Iran’s currency is sliding again, indicating that latest Government measures have failed to check a 70% devaluation and stem the Islamic Republic’s economic crisis. 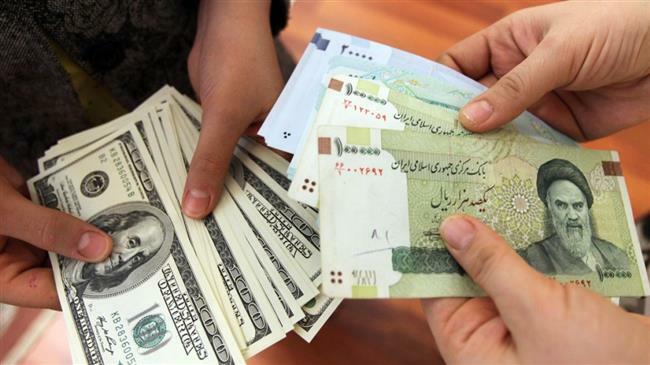 A promised intervention over the supply of US dollars had brought a 48-hour respite for the Iranian rial, which recovered to 128,000:1 over the weekend after the latest all-time low of 140,000:1 on Thursday. But on Monday, the short-lived gain was erased with the rial opening at 142,000:1 on Tuesday morning. The rial stood at 45,000:1 in January — already a historic low — before a drop spurred by Iran’s internal economic problems and US sanctions, expanded after the American withdrawal in May from the 2015 nuclear deal. The devaluation has spurred a resurgence of inflation, which had been brought down to single digits after a high of more than 40% in 2013. Unsuccessful interventions include restructuring the official and open-market foreign exchange markets; raising interest rates on savings; and switching to the Euro as the reporting currency. “Economic corruptors”, including the deputy head of the Central Bank, have been arrested and are being put on trial in special Revolutionary Courts, and the Rouhani Government may be considering a rationing system for food and essential goods. On Monday, Iranian media held out the hope that neighboring Iraq will “remove” the US dollar from trade with the Islamic Republic. 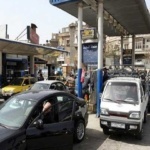 Reports cited a statement by Iraq’s Customs Authority of a legal limits for Euros, rather than dollars, taken into Iran. Tehran is hoping that the step may limit demand by Iranians for the US dollar, but the measure may be more a sign of Iraq’s attempt to preserve its holdings of the American currency amid its own economic problems. “The US dollar has been removed from the list of currencies used by Iran and Iraq in their trade transactions and they are using Iranian Rial, euro and Iraqi dinar for financial transactions,” Yahya Ale-Eshagh, head of the Iran-Iraq Chamber of Commerce, said. He said some Iranian and Iraqi merchants are engaging in barter, but the new arrangements need the support of an improved banking system. With production, investment, trade, and employmnet all hampered, the Supreme Leader has tried to assure Iranians of a “triumph” over the US without providing specifics of how his “Resistance Economy” will prevail. A UN human rights panel has called on Iran to immediately release an American scholar imprisoned in 2016. Xiyue Wang, a graduate student at Princeton University, was seized while doing historical research that the Iranian authorities had approved. The scholar is in Tehran’s Evin Prison, serving a 10-year sentence after having been convicted in a closed-door trial. He isone at least four American citizens detained, along with other dual nationals such as Anglo-Iranian charity worker Nazanin Zaghari-Ratcliffe. It is absurd to imagine my husband engaging in espionage by researching archival documents more than 100 years old for a history dissertation. He is not a spy but a linguist, a historian who loves Persian culture, a devoted husband, and loving father. Last week the Middle East Studies Association of North America wrote the Supreme Leader that Wang “had received the necessary visa as well as a research permit to conduct archival research” before he went to Iran.